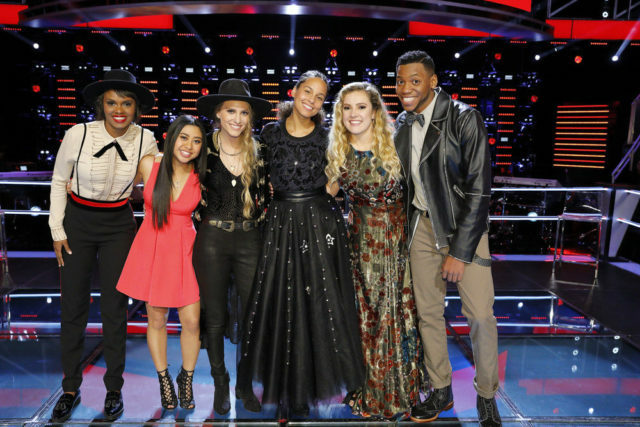 The Voice: Season 12 has revealed their Top 20! 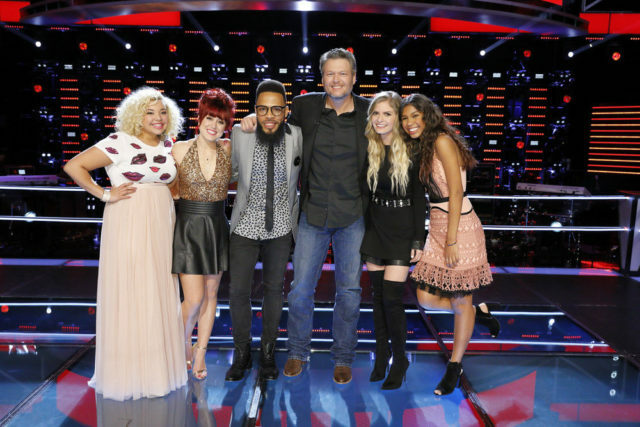 After weeks of Blind Auditions, Battle Rounds, and Knockout Rounds, The Voice: Season 12 Top 20 will compete for America’s votes during next week’s Live Playoffs. Jake’s Take has analyzed all four teams and revealed which teams will dominate Season 12 and which Top 20 artists will likely make waves this season. 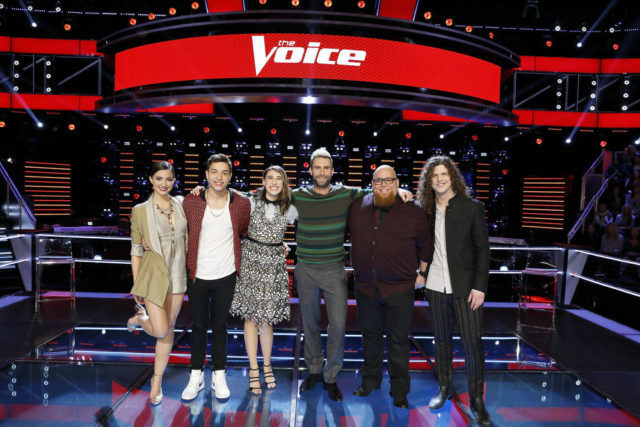 Just like last season, the fabulous “No One” singer-songwriter has a team that could dominate the competition and has rightly earned the top spot this season. The two Team Alicia MLV (Major League Voices) are easily Chris Blue and Anatalia Villaranda. Chris has a flawless falsetto and is easily the best male vocalist that has appeared on the show in the past three seasons. If you need any examples of why he might dominate the season, re-watch his superb Blind Audition (“The Track of My Tears”) and Knockout Round (“Superstition”) performances. Of all the talented young performers that are on this season, Anatalia Villaranda has a shot at making it to the Final Six. All throughout the competition, she has given me the same vibes that Jessica Sanchez gave me on American Idol five years ago and just like our friend to the blog; I predict that we will be hearing about Anatalia for years to come. The last singer that should immediately move from the Top 20 to the Final 12 is Vanessa Ferguson. I love Vanessa’s vocal intensity and attitude because she is one of the few artists that OWNS the Universal Studios Hollywood soundstage every time she performs. Going into the Top 20 Live Playoffs, Team Blake is one of the only two teams in the competition that has at least four of its’ original members intact. The only newbie going is Aliyah Moulden. However, Team Blake already has three frontrunners that could make the transition from Top 20 to Top 12. Leading the charge for Team Blake is Lauren Duski. After her haunting interpretation of Jewel’s “You Were Meant for Me” during the Blind Auditions, Lauren’s beautiful vocals could be a top contender to making it to the finale. I also need to give a shout out to my fellow Kansas Citian, Casi Joy, for making it to the live shows. While I am little disappointed that she edged out and eliminated vocal powerhouse Felicia Temple from the series, Casi has a unique voice that will probably agree with Midwest viewers. Rounding out the team would be TSoul. TSoul is one of the artists that has surprised me all season long with his retro sound. If TSoul delivers another epic performance like his Blind Audition (“Take Me to the River”) or his Knockout Round (“These Arms of Mine”), TSoul could give Chris Blue a run for his money. Team Adam was originally going to be the last team mentioned on this list, but thanks to a stupid decision made by Alicia in the Knockout Rounds, the Maroon 5 frontman may win for the fourth time. Without a doubt, Team Adam newcomer Lilli Passero is one of the strongest female vocalists this season. She made former coach Alicia Keys sing with joy after Lilli perfectly executed “A Love of My Own” and Lilli has never disappointed us this season. Two other Team Adam hopefuls that you should keep your eye on are resident rockers Josh West and Jesse Larson. Gwen Stefani! I love your music, but if I were series creator Mark Burnett or any of the Powers-That-Be not named Carson Daly, I would fire you after this season. For the third time in the row, Gwen made horrible decisions in both the Battle Rounds and the Knockout Rounds, and she lost of a bulk of the artists that she picked at the Blind Auditions. Instead of potential superstars such as Johnny Gates and Caroline Sky, we are stuck with third-rate Karaoke rejects (Brennley Brown and Hunter Blake). The only two people that I believe could be worthy of attention during Top 20 night are Troy Ramey and newcomer Quizz Swanigan. I would strongly advise the show’s leaders to start talks with original coach (and the only female coach to win the show) Christina Aguilera, International Voice coaches Jennifer Hudson and Kelly Rowland, two-time X Factor UK winning mentor Nicole Scherzinger, Pink, Janet Jackson, or Gloria Estefan to be in the red chair for Seasons 13 through 16. 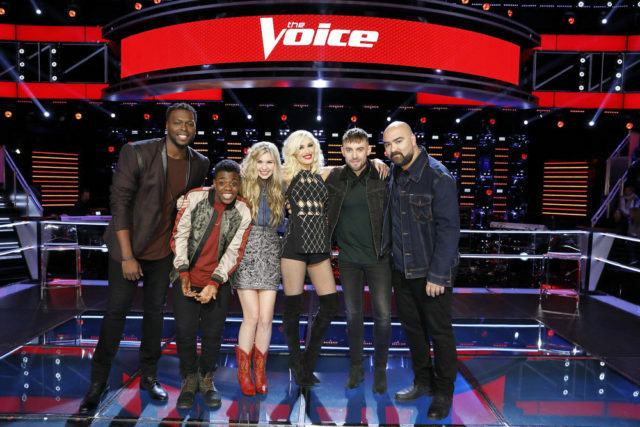 The Voice: Season 12 Top 20 will compete next week! Also, I will be giving letter grades to each member of the Top 20.